Effective communication is the foundation of project management success. How, when and who you communicate with will often define how happy (or unhappy) clients are with your work. Developing a communication plan gives you a roadmap to deal with every facet of client communication. It can make you more efficient, improve communication quality and ensure that every stakeholder is on the same page. In this post, I’ll show you how to create a client communication plan from scratch. Have your clients ever complained about not being ‘in the know’ about the status of their projects? Have you ever waded deep into a project without knowing who to email in case of an emergency? Do you routinely find yourself “winging it” on large projects, running pillar to post to figure out the next step? If you’ve answered ‘yes’ to any of these questions, you might be in need of a client communication plan. What is a Client Communication Plan? A client communication plan is a document detailing the strategies, processes and specific details of communicating with clients on projects. This is a fluid document, capable of expanding or shrinking based on the project requirements. Agencies usually have a centralized communication plan they use for all new projects. This plan can later be modified to deal with the specific requirements of a project. Who are the most important stakeholders in the project and their communication details (emails, phone numbers, addresses). How to communicate with stakeholders, including preferred channels, tone and message depth. When to communicate - daily, weekly, monthly, at project start, at project end, etc. This plan covers both external stakeholders on the client’s side as well as team members, contractors and executives on your side. In some cases, it also covers outside stakeholders such as tech evangelists, influencers and journalists. Why Create a Client Communication Plan? Standardize communication: Instead of “winging it”, a well-defined plan standardizes all your communication across all of your projects. This makes managing complex projects much easier. Anticipate client needs: Your communication plan will help you anticipate client needs and address them before they arise. Think of it as a way to communicate and mitigate risks. You can tell clients about minor issues with weekly check-ins and cue them in before they snowball into problems. Improves internal collaboration: A common cause of project failure is a lack of internal communication. Client instructions sometimes get lost in the cacophony of emails and team chats. Similarly, concerns from a contractor sometimes don’t make their way to your team members. A fixed plan helps keep everyone on and outside your team on the same page, improving collaboration. Communicate faster: Once you know when and what to communicate, you can create templates for faster communication. This way, you don’t have to write any messages from scratch; you (or your team members) can simply use proven templates. For agencies dealing with more complex projects, a communication plan is vital to keeping clients happy. It is also good for your brand; you can have a single “brand voice” across all your projects and channels. There are clear benefits to creating a communication plan. The question is, how can you create one of your own? We’ll share our process in the next section. The client communication plan springs from the specific requirements for each project. It can be as complex or clear as the project demands. I’ll walk you through these three steps below. A “stakeholder” is anyone who has an interest or concern in the project. These are people who have the ability to influence the outcome of the project. Internal stakeholders: People within your agency who have an interest in the project. This will include the immediate project team, contractors, vendors, top management, and anyone else involved in the success of the project. External stakeholders: Anyone on the client’s side involved in the project. This includes your liaisons from the client’s project team, executive sponsors on the client side, top executives, etc. Other stakeholders: In some projects, you’ll also want to involve third-party stakeholders, such as tech evangelists, influencers and journalists (usually near project completion). In a new spreadsheet, make a list of everyone involved in the project. Identify whether this person is on your team, on the client’s side, or belongs to a third-party. Also include their position. For large projects with involvement from multiple departments, you can include the department as well. This list of stakeholders will be the foundation of your communication plan, so make sure to keep it as comprehensive as possible. Interest: How interested is the stakeholder in the project? A director in a tangential department would be only minimally interested in the project, while the project leader on the client’s side would be heavily interested in it. Influence: How much influence does the stakeholder have in the project? Influence isn’t always related to interest. A top executive might have minimal interest in the project but have the influence to stop/expand funding for it. Key Objectives/Motivations: What does the stakeholder want from the project? This can be tangible (“higher revenues”) or intangible (“more influence within the company”). Contact Information: Self-explanatory - the stakeholder’s key contact information. In your stakeholder spreadsheet, add additional columns for “Influence”, “Interest”, “Objectives” and “Contact”. You’ll score “Influence” and “Interest” on a scale of 1-5 (or 1-10 - whatever suits you). The higher this number, the higher the stakeholder’s priority in your communication plan. Leaders on yours and the client’s side will have the highest interest in the project. Give them a score of ‘5’. People who control resources - top executives, department directors - might not have interest in the project, but can influence its direction. Give them an influence score of ‘5’. Your immediate liaisons on the client’s side will have strong influence/interest in the project. Similarly, your project team leader will have strong influence and interest in the project. Consult your team for scoring each stakeholder. You don’t have to get this 100% right. You’ll use this only as a guideline for communication. Apart from influence and interest, you also need to identify each stakeholder’s key objectives and motivations. Doing this will help you decide what information to communicate to the stakeholder. For instance, if the stakeholder is only concerned with the new revenue generated from the project, you don’t have to bother them with daily check-ins. You can update them once a month about the project progress, spending, and eventually, the results. Financial: Project cost or expected revenue. Usually important to project leaders and resource controllers. Personal: Usually important to executives personally involved in the project’s success, i.e. when the project is someone’s “baby”. Career-focused: Stakeholders will want to further their own careers through the project. Brand-focused: The impact the project will have on the brand. For instance, an external stakeholder might want to use the project to earn press and promote the brand. Again, remember that you don’t have to get this data 100% right. You only want near approximations to determine how, when and what to communicate to each stakeholder. You can even skip this part for smaller projects with limited stakeholders. Finally, add key contact information for each stakeholder, including preferred communication channel. In the next step, I’ll show you how to turn all this data into a communication plan. The data you gathered in the above step will determine the frequency, format and content of your client communication. For example, you might send weekly check-in emails to stakeholders who have a high interest and influence in the project. Stakeholders who only have high influence but no interest can be emailed once a month with updates. How often you communicate with the stakeholder will depend on their interest, influence and position. Generally speaking, the higher the stakeholder’s interest and influence, the more frequent the communication. The length and tone of each message. This will depend on the stakeholder’s position and your existing relationship with him/her. For instance, you might send busy executives short, formal emails about the project status. For internal stakeholders, you might send more casual messages. Determine what kind of communication to send each stakeholder - daily check-ins, weekly updates, hours worked, etc. This will depend largely on the stakeholder’s motivations, interest and position. You might send a monthly high-level update to the executive sponsor and a detailed report of hours worked to the client liaison each week. What to deliver in each communication. For instance, you might share a mock-up of the website in your weekly progress report to management on your side. 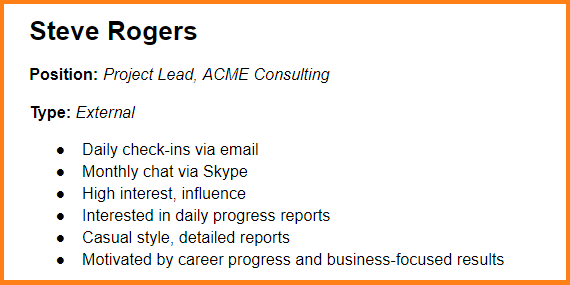 For your daily check-in with the project leader, you might share a list of tasks completed and hours worked. Each stakeholder can have different communication preferences for different communication types. For instance, you might do a weekly check-in via email and have a Skype chat once a month for progress reports. Specify when to start communicating with the stakeholder. You’ll want to involve some stakeholder right after project kick-off. Others - especially third-party stakeholders - don’t need to receive communication until the project is near completion. For example, if you’re building a new tech product for a client, you don’t need to involve journalists and tech influencers until you at least have a working prototype. This will form the basis of your communication plan. Your spreadsheet now has enough data to help you create a specific communication plan for each stakeholder. In a new document, list out every stakeholder. Make a note of what, where and how often to communicate. Also make note of the communication tone and style. Share this plan with anyone on your team who will communicate with the client. Make this a “living” document, i.e. get your team to review and update it as you gather more information about the client. You can also add/remove stakeholders from this document as the project moves closer to completion. 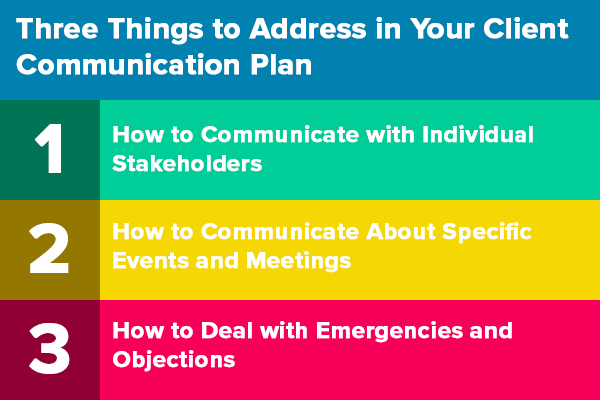 While stakeholder-specific communication will ensure that you send the right messages to the right person, you also need a communication plan for specific events, such as a kickoff meeting or a monthly status meeting. Event-type: Common events include kickoff meetings, project team meetings, design meetings, monthly status meetings, and project status reports. Communication channel: Identify the communication channel for each event-type. You might have face-to-face kickoff meetings and run weekly status updates over email. Frequency: Whether the event happens daily, weekly, biweekly, monthly, etc. Participants: Who all is involved in the event. Specify the exact position of the participants and whether they are internal, external or third-party. Owner: Who has ownership over the event. Usually, this is the project manager. Objective: What is the purpose of the event. For example, the objective of a monthly status update meeting is to share the progress of the project with the management. You can then create a communication template for each event-type based on the participants, objectives and preferred channel. Try as hard as you might, issues will crop up in any project. As the project manager, it is your job to address any contingencies and concerns. In your communication plan, make a note of who to contact (both internally and externally) in case of an emergency. Identify what exactly to communicate to them. Ideally, you’ll want to target stakeholders who a) have a high interest in the project’s success, and b) have enough responsibility to resolve the emergency, if necessary. You can go further and have separate plans based on the scale of the emergency. For instance, in case of a major emergency, you’ll want to contact leaders on yours as well as the client’s team. In case of minor emergencies, on the other hand, you can limit communication to your project team alone. In every complex project, you’ll have some people opposing certain things on either side. Anticipating these objections and charting out responses to them can make for a smoother running project. Cost concerns: Share hours worked, project progress and expected revenue from the project. Progress concerns: Share current progress, including mock-ups, templates, etc. The idea behind this is to have a ready-made communication strategy in case of any contingencies. It’s not necessary, but it will save you a world of trouble once issues do arise. 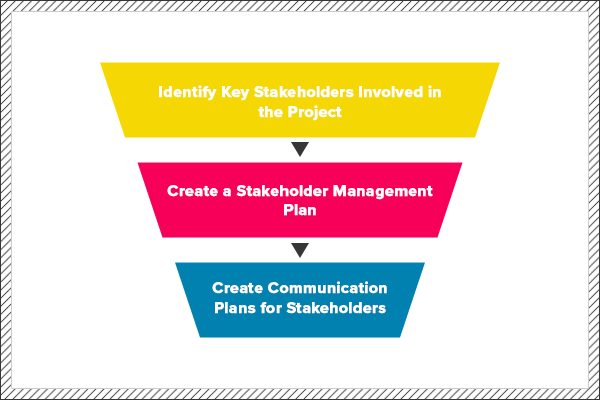 In this final step, you can turn your plan into stakeholder-specific communication templates. Instead of writing an email from scratch, you can create a template to use for all such updates across all your projects. 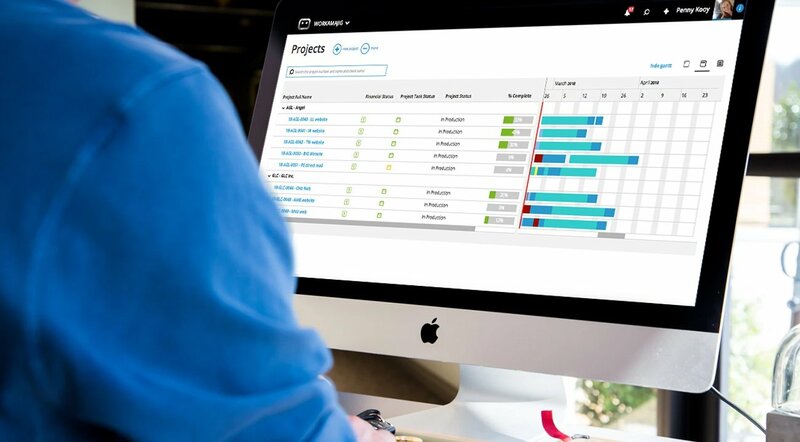 You can even export data from a project management tool like Workamajig to make your job easier. Share these templates with your team. Use them for all scheduled updates with the client. This will bring in much-needed uniformity and standardization to your client communication. Once you know these details, you can create highly targeted communication plans for everyone involved in the project. This will help standardize your communication and help the project run smoother. Client communication depends on identifying and understanding all stakeholders involved in the project. The influence, interest and motivations of each stakeholder will determine how you communicate with them. The communication plan should focus on communication frequency, content, channel and tone for each stakeholder. Your communication plan should be a fluid document that you can update as you gather more data about the client.